Normally old banks and factories are converted into condos. Such is the sign of our times. So it’s surprising when you stumble inside an abandoned bank only to be engulfed in an endless wave of books. No Kindles, iPads, office desks or retail space to be found between the building’s towering marble walls; just books, glorious books of all shapes and sizes – and a hell of a lot of them! 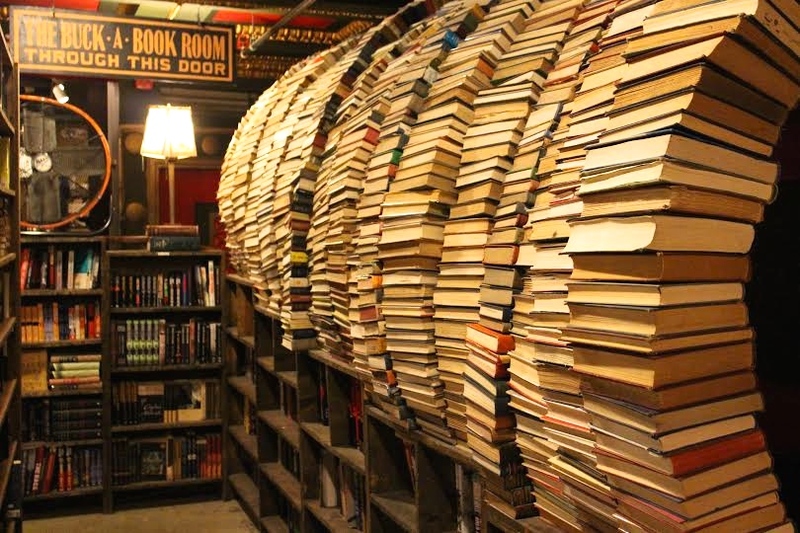 The Last Bookstore is not actually the last bookstore in Los Angeles. But if it were, I think every single one of us would breath a sigh of relief knowing this bank-vault-turned bookstore would be guarding the precious pages of our most beloved childhood stories and keeping them safe from the fiery ethers of modernity. Ironies aside, upon entering the musty word-filled world of the first floor’s grand atrium, your thoughts are confirmed: this is no ordinary bookstore. Apart from the thousands upon thousands of books lining the walls, floors and halls of this enchanted portal, a creative calm cuts through the chaos. I feel like Alice discovering a beautiful wonderland of whimsical words as I try to cement my bearings even though bookshelves are randomly coming at me from every direction. The first floor is slightly less disheveled than its upstairs counterpart, and deliberately so. It is here you’ll find more commercial offerings – anything from Neil Young records to designer coffee table books to the latest Dan Brown novel. You’ll find loads of contemporary literature for every type of reader. The view above is equally as overwhelming, with impossibly high ceilings offering a peek into the bespoke shops of the Springs Arts Collective, a group of independent local traders selling unique homewares and crafts. But it’s the upstairs where all the mystery lies. 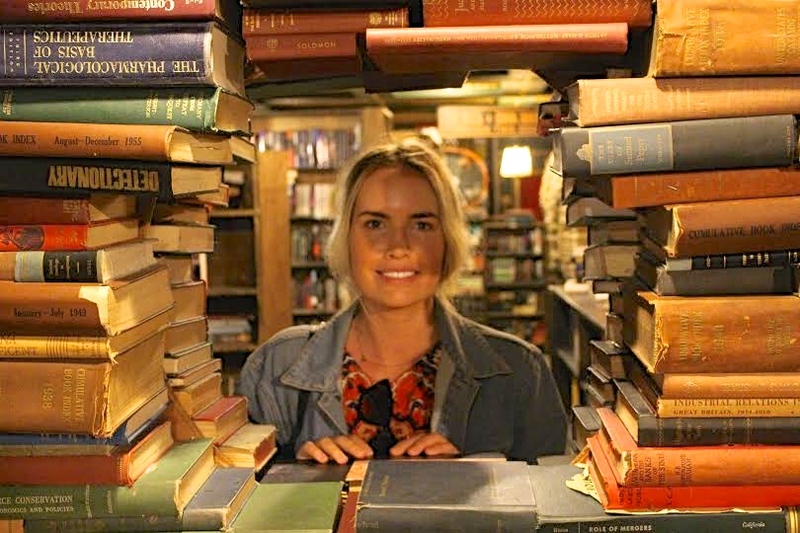 Stacks upon stacks of vintage and pre-loved books selling for only a dollar will have you here for hours. It’s easy to get lost in the upstairs labyrinth of overstocked or damaged books purposefully arranged in artful displays. It truly is a feast for the eyes, with books suspended mid-flight and positioned in cylinder-like sculptures which seem to teleport you to a different time. 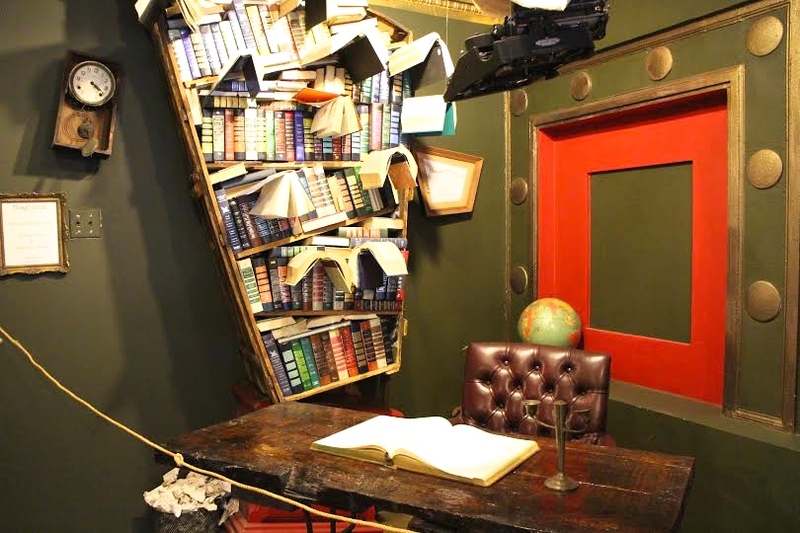 There’s even an array of hidden fiction meant to inspire the treasure hunters among us! 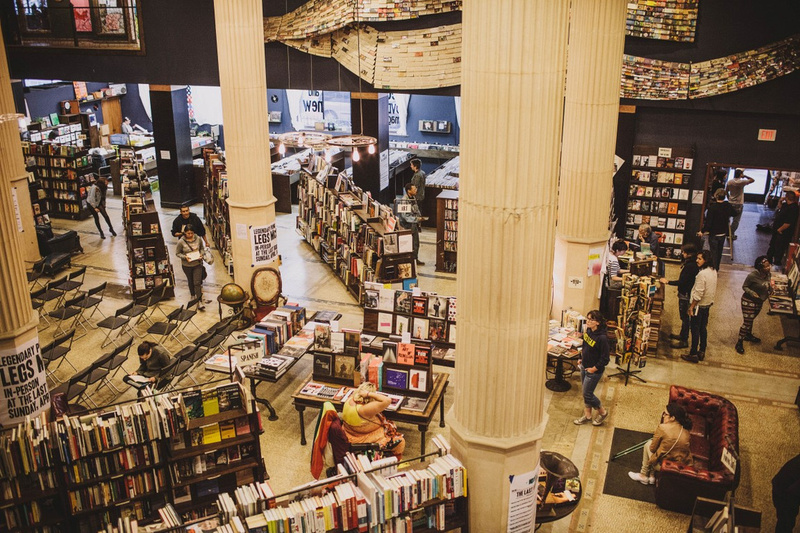 The Last Bookstore will make you fall in love with books all over again. If you’re in Los Angeles then make sure you visit because it might not last forever. 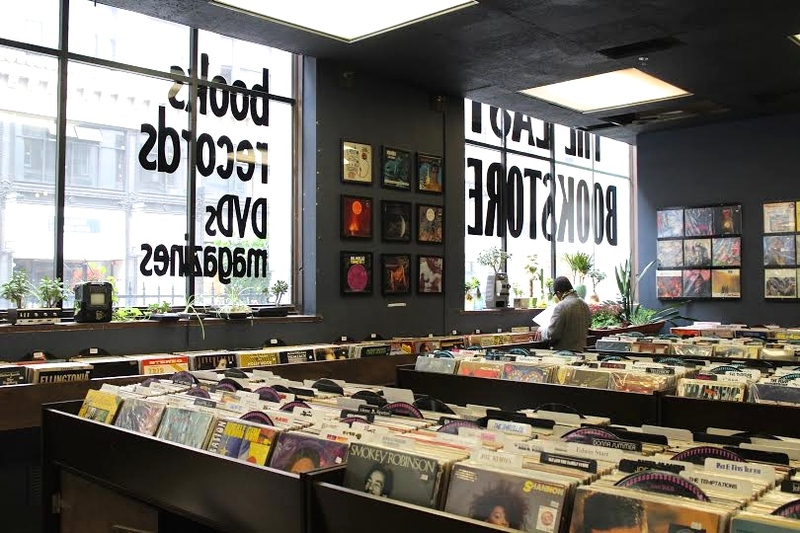 The Last Bookstore is California’s largest used and new book and record store. Stefanie Acworth was a guest of United Airlines and Los Angeles Tourism and Convention Board in November 2014.